1. Place salmon on a plate; freeze until well chilled, about 20 minutes. 2. 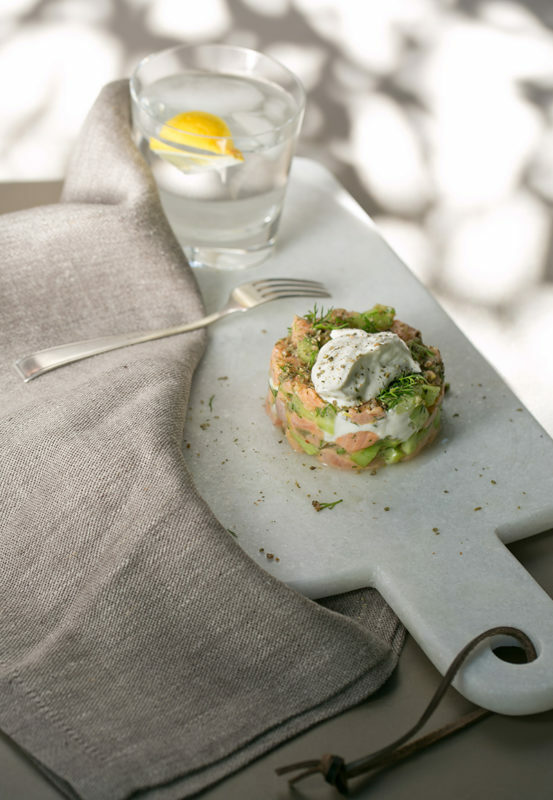 Thinly slice salmon lengthwise into 2,5 cm-wide sheets. Cut each sheet into 2,5-long strips. Cut strips crosswise into 2,5 cubes. Place salmon in a bowl. 3. For the yogurt-wasabi mixture: In a small bowl mix the yogurt and the wasabi paste together. Cover and pace in the refrigerator. This mixture can be kept fresh stored in the refrigerator up to one week. 4. Mix the salmon, cucumber, shallots, avocado, capers, chives, and dill (or cilantro). Salt to taste. Add lemon (or lime) zest and juice, olive oil and combine. 5. Press half of the mixture into a greased ramekin, using the back of a spoon to compress it. 6. 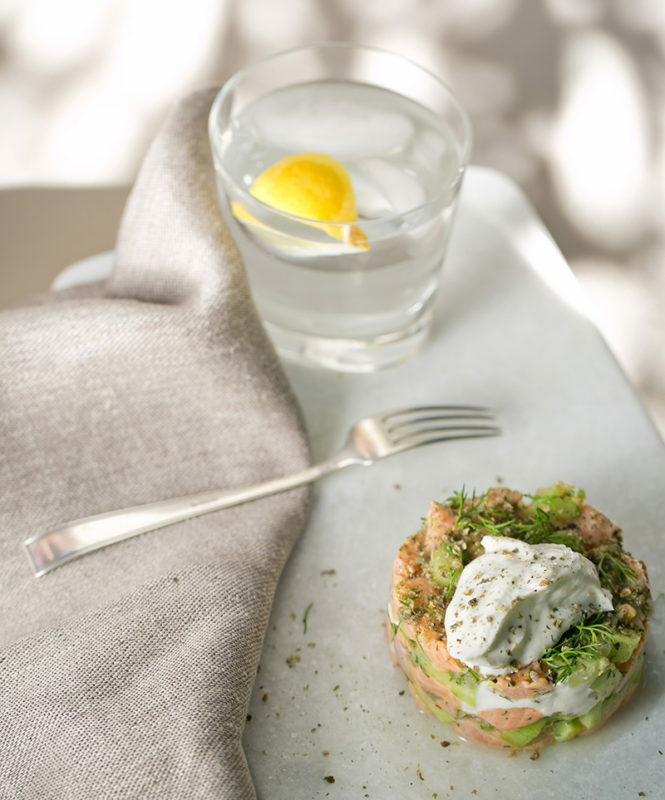 Place a dollop of the yogurt – wasabi mixture over the salmon, finish off with a good grinding of pepper on top, and serve. Note: I bought the salmon for this tartare at a fish market. I always let the person behind the counter know when I’m planning a raw preparation and ask for their suggestions. If you plan to eat raw fish (or beef), buy it from a trusted source. Chilling it in the freezer for 20 minutes makes it easier to dice.